Lincoln Paper and Tissue LLC., as seen on Monday, Sept. 28, 2015. The town of Lincoln is moving quickly to reap the rewards of a new federal tax break program that’s meant to lure investment to economically depressed parts of the country. Last spring, Lincoln was among 32 areas around Maine that were selected by outgoing Gov. Paul LePage to be eligible for the federal Opportunity Zone program. Now, the former mill town is taking the next steps to benefit from that designation, forming an entity known as an Opportunity Fund through which investors can support eligible projects and potentially receive a break on their capital gains tax. Brien Walton, director of the Dyke Center for Family Business at Husson University during a Dirigo Speaks event in Bangor on Wednesday. Some real estate developers have already started forming Opportunity Funds, but Lincoln is the first town in the U.S. to take that step, according to Brien Walton, the director of the Dyke Center for Family Business at Husson University and the head of a regional economic development agency, Acadia Capital Management II, Inc., that’s helping the Penobscot County town launch its fund. 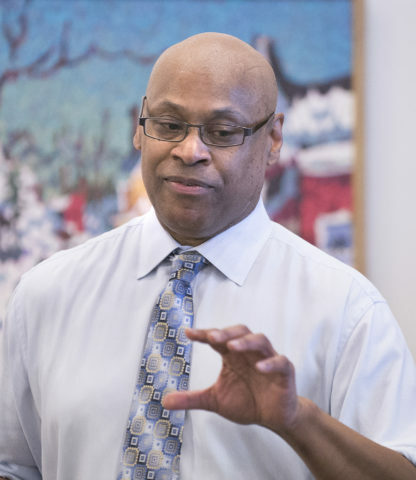 Lincoln officials announced their new venture Wednesday night, during a talk Walton gave at the Bangor Public Library as part of the Dirigo Speaks series organized by the Bangor Daily News. While the town already has attributes that could appeal to investors — such as infrastructure from the former Lincoln Paper and Tissue mill and proximity to Interstate 95 — officials described the Opportunity Fund as an additional tool to pique their interest. Jay Hardy, economic development director for Lincoln, during a Dririgo Speaks event in Bangor on Wednesday. “We’ve got a great location and we’ve got resources, but what we’ve got that differentiates us is, we have access to a capital stream that may be able to help your business grow and ramp up,” Jay Hardy, the town’s economic development director, said Wednesday night. 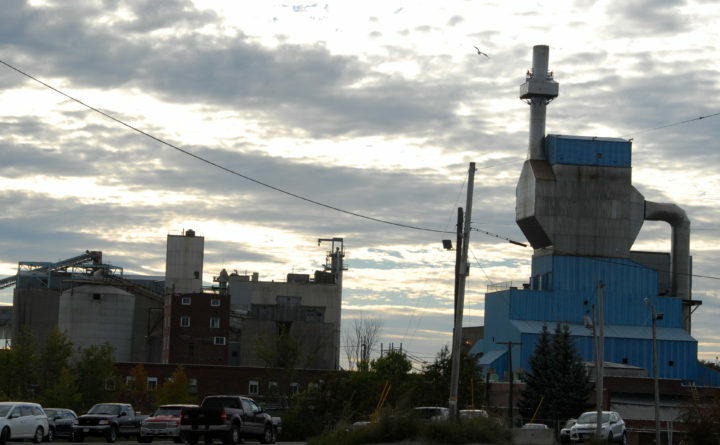 Since the Lincoln Paper and Tissue Mill shut down in 2015, the town bought more than 70 acres of the mill site earlier this year with the goal of turning it into commercial development. Earlier on Tuesday, Walton said he knows of four businesses that have expressed interest in Lincoln, including one in the construction industry, one in biofuels and two in wood products. While the Opportunity Zones were authorized as part of a larger tax bill passed by U.S. lawmakers late in 2017, states were given the authority to pick which tracts would be eligible for them. The goal of the program is to convince investors to move their money to ventures in economically distressed parts of the country, allowing them to defer and possibly get breaks on their capital gains tax. The LePage administration chose a wide variety of Maine communities to become Opportunity Zones, from past and present papermaking towns, to parts of the state’s biggest cities. It has said that its selections were based on the potential for successful new investments, and many of them were areas that had large business projects in the works. Walton said he’s been approached by 11 of those communities seeking help in creating an Opportunity Fund. He estimated it can cost about $50,000 and take about three weeks for a community to go through the process. “This is a great example of that being done, pulling money from outside the state to support the state,” he said, referring to Lincoln. But skeptics of Opportunity Zones have said that they could just be cutting taxes for investors who would have supported a project even without the sweetener. 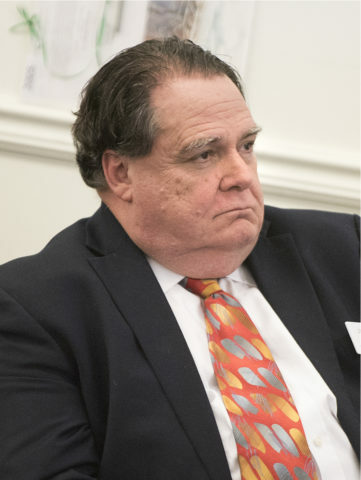 Last summer, Al DiMillo, a former chief tax officer for Bath Iron Works and a certified public accountant, said the incentives are not great enough to make an investor take on a significantly higher amount of risk.